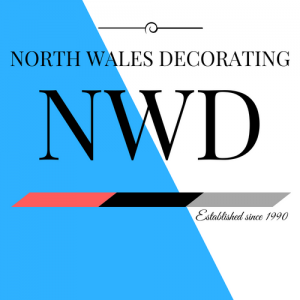 We are a friendly reliable team of decorators based in north wales, located in Rhyl, North Wales covering a wide area across north wales & North West, Established since 1990, delivering quality workmanship time after time, we cover all aspects of painting and decorating both Interior & Exterior. All carried out by ourselves along with Chester painters and decorators who can be found on facebook.com ,we outsourced plastering contractors who we use on a regular basis they can also be found on Facebook.com ,who carry out a high standard of work ready for painting and decorating. We have recently been working in felinhelli marina completing exterior of houses, we have up to now completed 5 exterior properties on the marina through recommendations off the back of completing the first house and have two more booked in for spring time, We are also currently working on a full interior on one of these houses at felinhelli marina, you can see the pictures of the interior and the exterior works we have carried out right here in Our Gallery. Quality painters and decorators covering north wales and north west England! Tel :- ( 01745 799160 ) – Office Hours Between 9am – 6pm – Mon – Fri. Mobile (07930187252 ) – Anytime & Evening – Weekends. Leave Your Enquiry : – We Will Always Get Back To You Within 24hrs. We will Always Get Back To You Within 24 Hours.